Today the star of the show is the new Autobacs building from Tomicatown. Now I had stopped buying these as I am seriously out of space - but sometimes, you got to weaken. And I did. It was just too nice to pass up, and it will serve me well in the colder winter months as a photo backdrop. And it is easy to disassemble and stow away when not needed. Eagle eyes readers will have spotted the all new Tomica Premium R32 casting in the picture, you we’ll have a quick look at that one as well. 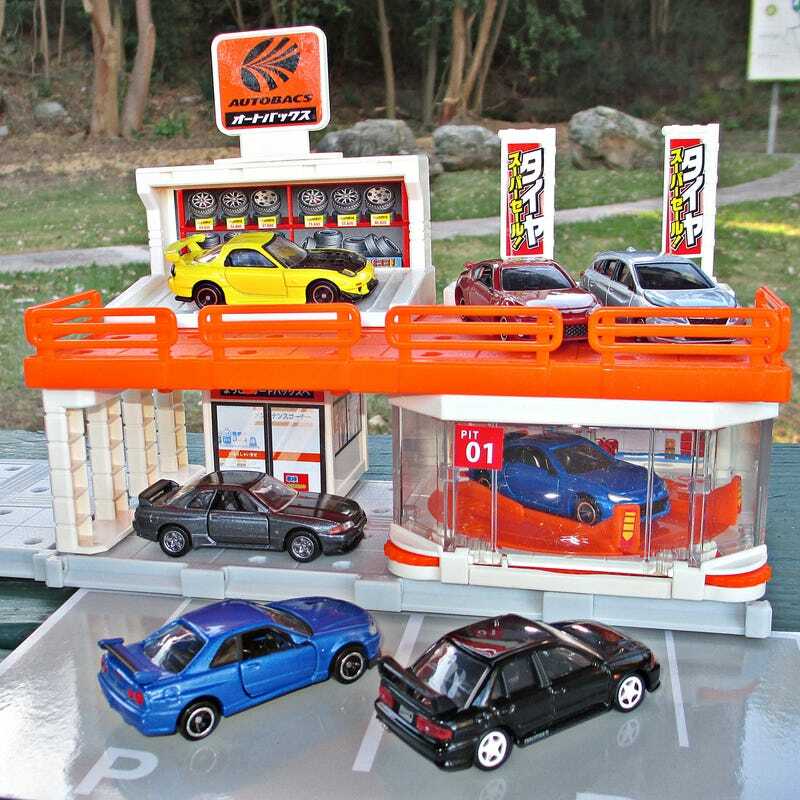 This casting first appeared as a Dream Tomica as the “Night Kids” R32, and later in the Skyline set. Now - with bespoke wheels - it’s part of the Premium series. (Wrong! Please see comments below). It certainly offers enough detail to fit right in there - even if the interior could be a bit better. I also like the new Premium boxes which offer multiple angles of the model inside - a good idea. And that’s all for today - enjoy your Sunday, I certainly did.